The last few weeks of summer mean things are ramping up at work, so by the time I get home I’d rather do anything than type on a computer or do anything house related. I took today off to give myself a lovely 4 day weekend to relax and to work on a long-delayed DIY project, but mother nature has conspired against me - it's rather hard to spray paint outside when it's pouring rain. Boo! Last Friday after a long week I found myself craving something pretty so off I went to a favourite source of all things pretty – HomeSense (I actually went to two locations). I’ve promised myself I won’t purchase anything until I get a little bit more decided on the direction I want my living room to go, so this was purely a trip in search of eye candy (although there were a number of items I could have easily brought home). 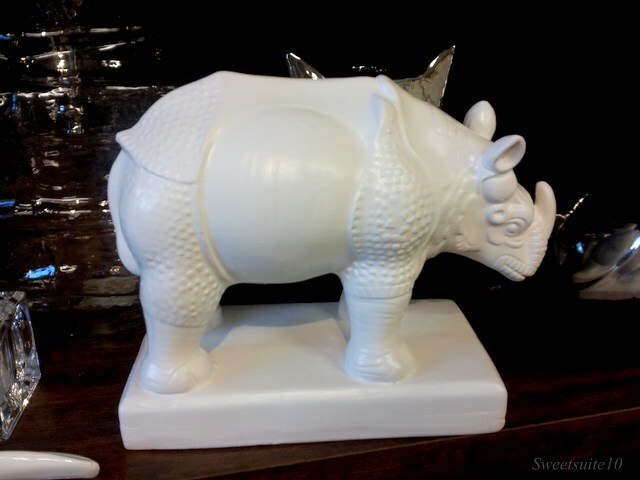 It looks like white ceramic animals will continue to be popular. Here are two I spotted, and I’m honestly not sure which one I would adopt - I keep changing my mind. 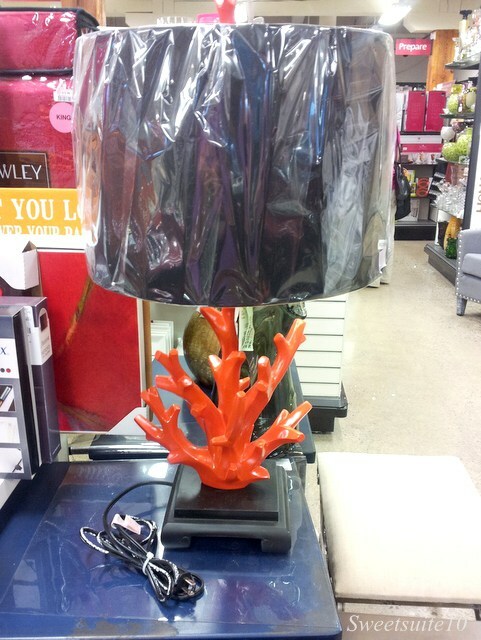 I always love the lamp section at HomeSense – there are always a few lamps I love. This trip was no different. 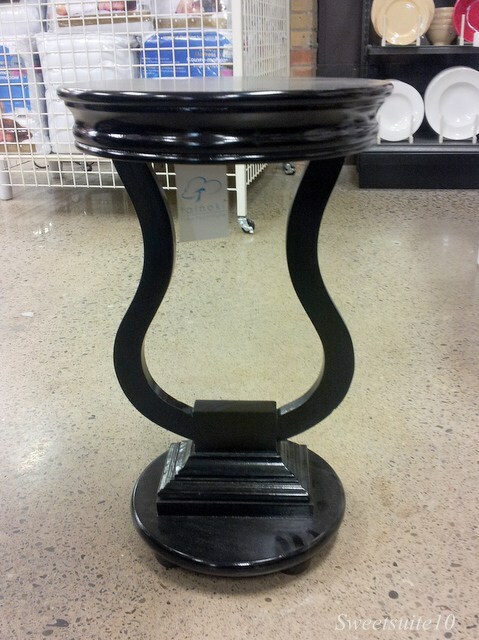 I rather liked this little console table. I think it would be lovely in an entry way. 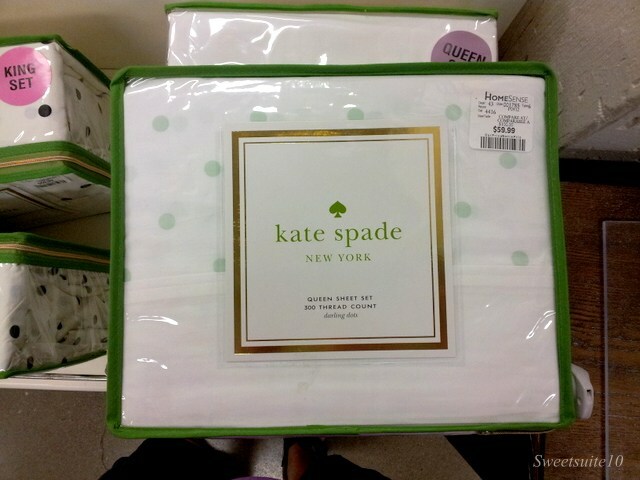 I loved these mint polka-a-dot sheets by Kate Spade. They also had them in coral which were delightful too. 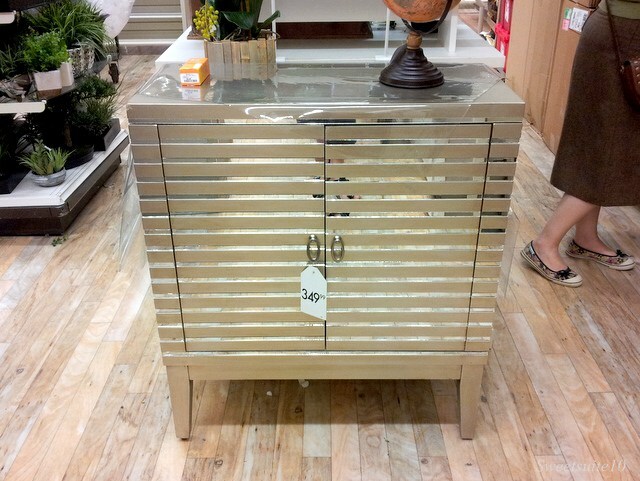 I liked the scale of this side table – it wasn’t too big which would allow it to be used in a smaller living room. I think I may need something similar in my living room. I LOVED this basket. It had a rounded shape which was lovely, and was available in several sizes. I picture it beside my couch filled with some cozy blankets, all ready for winter. 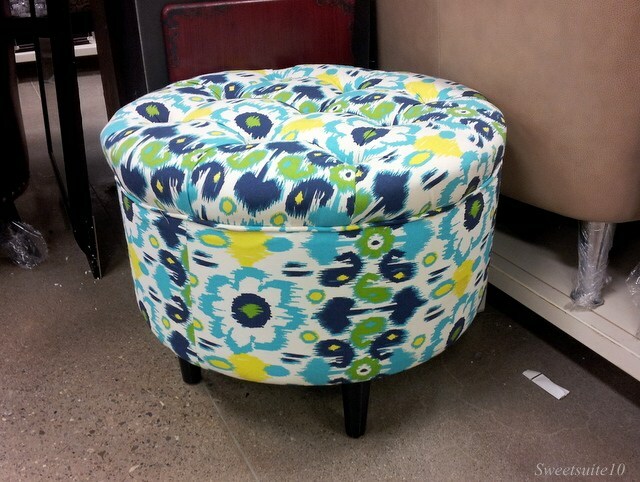 Finally I thought this tufted footstool was fun. I love the bright colourful fabric and pattern. So, would you bring home any of the items above? Do you ever just go shopping to feast your eyes on pretty things – or does that just happen in my world? What are your favourite sources of pretty things? Those are some great finds! I love checking into Home Goods (as it's called down here) and seeing what fun stuff they have in stock. It's always a treat! 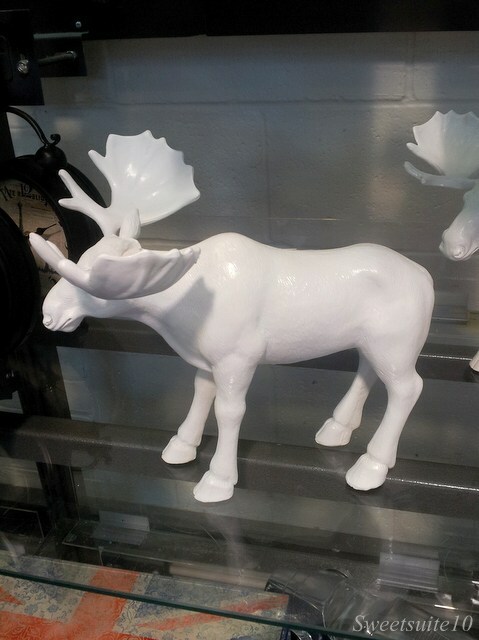 Um, at what homesense did you find that moose? I must have it! It was at the Leaside location. love the moose! 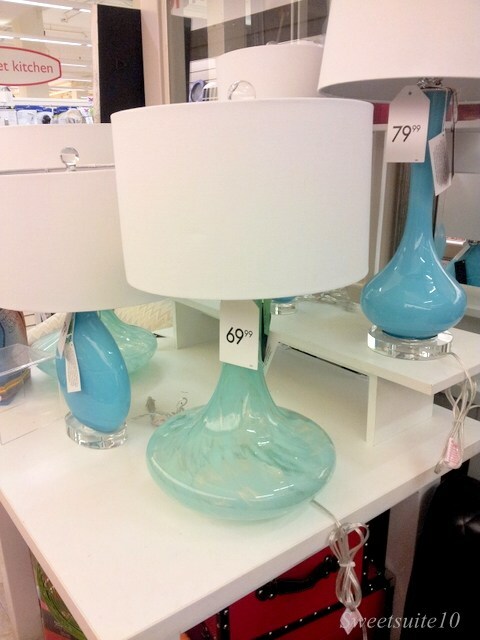 i was tempted to pick up a a few blue lamps this weekend too! I love the moose! I would have had a hard time leaving him there, even though ceramic animals aren't really my thing. Love that basket! I'm heading to my local HomeSense to see if they have the larger size - wish me luck! And if I hadn't just bought my daughter a polka dot duvet cover from Ikea, I would be picking up the polka-dot coral sheets for her as well. Thanks for the post! 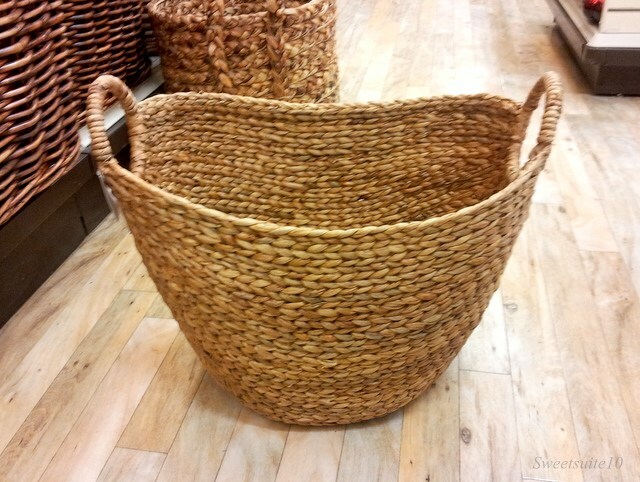 Did you have any success finding the basket?